We worked with ITVCreative to create a new Brand Hub for ITV's rebrand. TV plc is one of the UK's best known media brands. ITV’s roots are in the ITV regional broadcasting franchises first awarded over 50 years ago and ITV remains the UK's largest commercial channel in audience share terms by some margin. ITVCreative is the broadcaster’s in-house, newly restructured full service creative agency and production company. 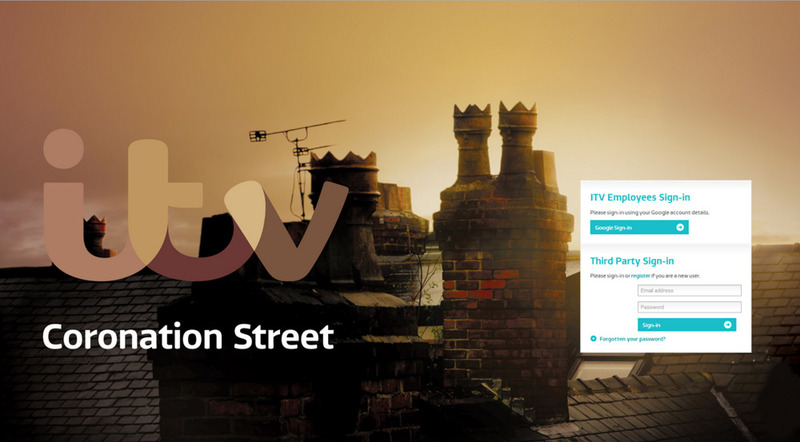 On 14th January 2013 ITV launched a rebrand, to provide a modern, unifying brand identity for all of its channels. ITV now has a consistent identity across everything that it does, rooted in its positioning as a media brand that is at the heart of popular culture. One place for employees, suppliers, partners, journalists and others to download approved brand assets, such as logos, fonts, and Word and PowerPoint templates. Guidelines for how to use the brand assets. Users can read instructions online, and browse and download the brand guidelines as PDFs. In addition, when a user downloads one or more brand assets then the appropriate guidelines are included in their download. Powerful reports, enabling admin users to track who has downloaded which assets, and for what purpose. An approval process for new ‘creative’ that uses the brand assets. For example, an employee who has downloaded a logo for use in new artwork can upload the finished artwork file for approval. A member of the ITVCreative brand team then either approves the artwork or adds comments and rejects it back to the employee. The approved files remain archived on the site in case they need to be referred to later (for example to find out who approved them). Single sign-on (SSO) for ITV’s employees, so they don’t need to remember yet another username and password combination. 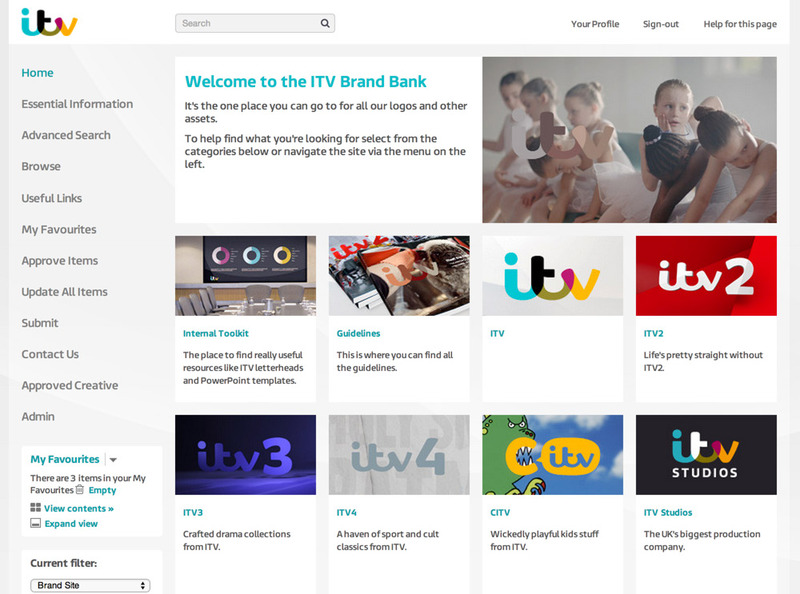 One requirement was for the Brand Site to fit seamlessly with ITV’s new brand identity, so that it could lead by example. Bright Interactive worked closely with ITVCreative’s graphic designers to produce a look & feel and visual design that matches the new brand identity and really makes the site stand out visually. This highlights the flexibility of Asset Bank – although it is an out-of-the-box product it is highly configurable. We can change its visual design to ensure that each client’s Asset Bank is unique. "Asset Bank is a powerful, user-friendly system developed by an intelligent, hardworking and proactive team at Bright Interactive. ITV is delighted with the performance and service."